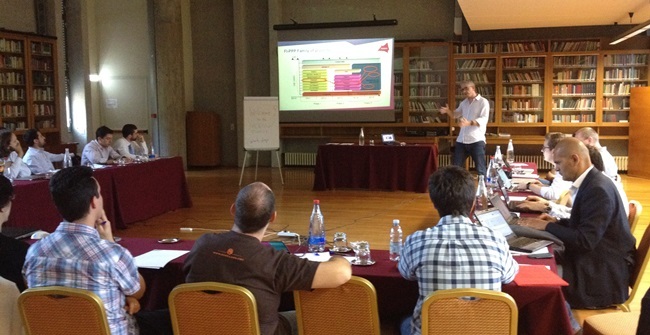 On June 25th the joint INCENSe/FINESCE workshop took place in Rome. 14 start-up companies got a detailed presentation about the FINESCE trial sites, the implemented use cases and how FIWARE Generic Enablers were integrated in the architecture of the trials. Developers presented for Developers in a very practical way discussing architecture models , different ways to use and integrate Generic Enablers and how one can quickly setup a software feature based on FIWARE. 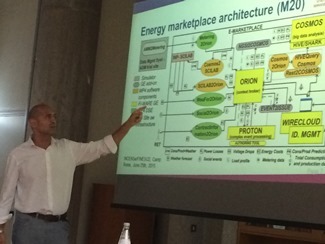 The start-ups especially appreciated the direct relation to live Smart Energy use case showing how diverse FIWARE can be used to create new Smart Energy services and how the FINESCE API provides easy access to the data of the trial sites. 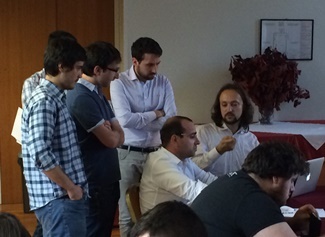 In the afternoon all Start-ups got the opportunity to directly get a feedback on their architecture models by the FIWARE-experienced developers of the FINESCE trials and exchanged their experiences. The workshop ended with an hands-on session showing tips and tricks to utilise the Orion GE in a very fast way.